I invite you all to join me on a brief pub-crawl. This bears no relation to the pub-crawls of my student days around Liverpool where we did the (in)famous Smithdown Road pub-crawl. I thought it was the Smithdown 13, but on looking it up – it seems to be ten now, and only actually eight pubs marked on the map at Barcrawl. Naturally, I shall buy the first round, and we shall toast Thornberrie, who mentioned The Wembley Bar and The Matchbox in the comments here, so was my inspiration for this post. If I get round to it, I may even turn it into a series of pub-crawls in Gibraltar. Rumour and Gibfactor misinformation cite the pubs here at varying numbers, up to, and sometimes over, 100. For the purposes of this pub-crawl intellectual survey, I’m excluding hotels, and what are clearly restaurants with bars, although you can get a drink there. I guess that’s what makes places borderline. So we’ll stick with Ye Olde Fashioned Pubbe (and the odd social clubbe). So, heading out briskly from the city through Southport Gates (you all remember those from the previous post), we don’t have far to go at all for our first pint. Or half (always recommended on pub-crawls, I find). 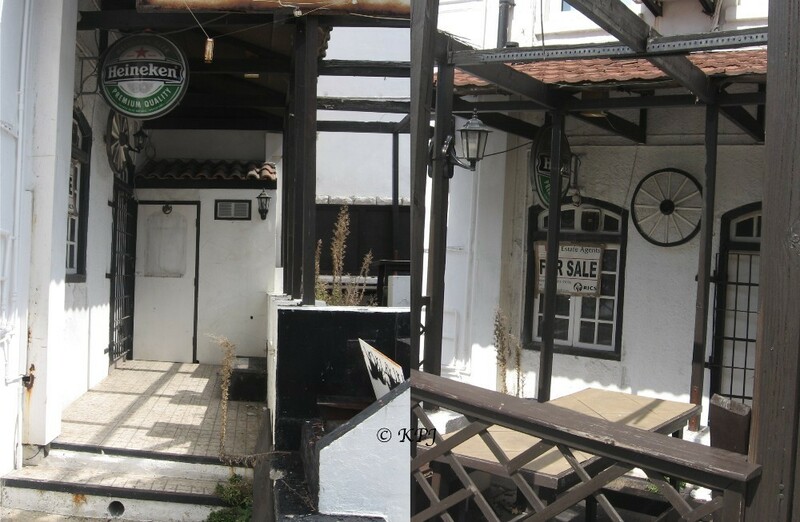 The Trafalgar Sports Bar is run by Ace, who may or may not have a different name. He has some decent friendly staff, and a good Spanish cook. There is a Menu of the Day/Menu del Día, you can pay in sterling or euros, and the food looks OK to me although I’ve never eaten there. Partner did have a breakfast there once when he was working nearby and said it was pretty good. It was freshly cooked and vegetarian and exactly what he asked for. It’s usually pretty full on Sundays with lots of people eating out for Sunday lunch. I’ve had a beer there occasionally, Stella, it was decent and reasonably priced. Naturally, being a sports bar, it is full of huge TV screens, and there is a list of which sport fixtures will be available to watch. Crossing the road, we hit The Piccadilly. Or according to the sign, The Piccadilly Garden Bar. This one looks very inviting. I’ve only had one beer there, which wasn’t particularly good (Stella again), more expensive than the Traf, and surly staff. I haven’t been back, and if it wasn’t for this virtual pub-crawl I wouldn’t be bothering now. Partner has had a couple of coffees there and said they were good, and it is normally pretty busy with breakfasters. Maybe best to go then? They do have an extensive and reasonable-looking pub menu, mix of Spanish and English food, but no idea of the quality. 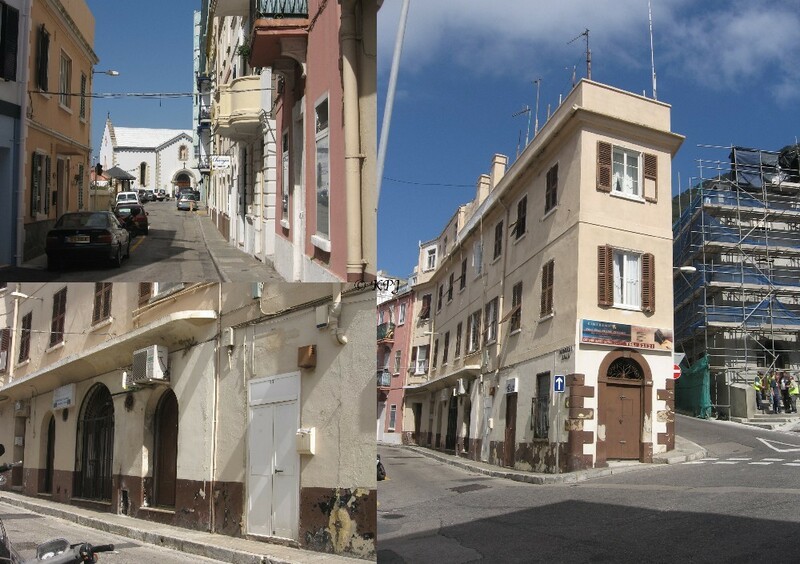 Moving on down Rosia Road, we’ll cross at the lights and nick through the Alameda/Red Sands estate to call at the Lincoln FC Bar. You probably need to be a member, but this is Gib, so I’m sure someone would sign us in. Interesting concept having a bar in the middle of a housing estate. Next we have to stagger up Scud Hill to the Wembley Bar. But first – here is the Coach and Horses. Sadly closed and rather neglected looking ever since I have been living here. No-one seems to want to buy it. It looks quite twee. Off the tourist route? Not enough potential local trade? Anyway, it’s still for sale so no drinks there I’m afraid. Hiking up Scud Hill we finally reach the Wembley Bar. About which I know absolutely nothing apart from the name and location. Now, Thornberrie said The Matchbox was around the corner, so I took a few pix of Rodgers Road to see if anything there could possibly have been a pub. I would have thought the one on the corner was the main candidate, but I have no idea. Need to ask some old Gibbos methinks. Is The Matchbox there? Somewhere? 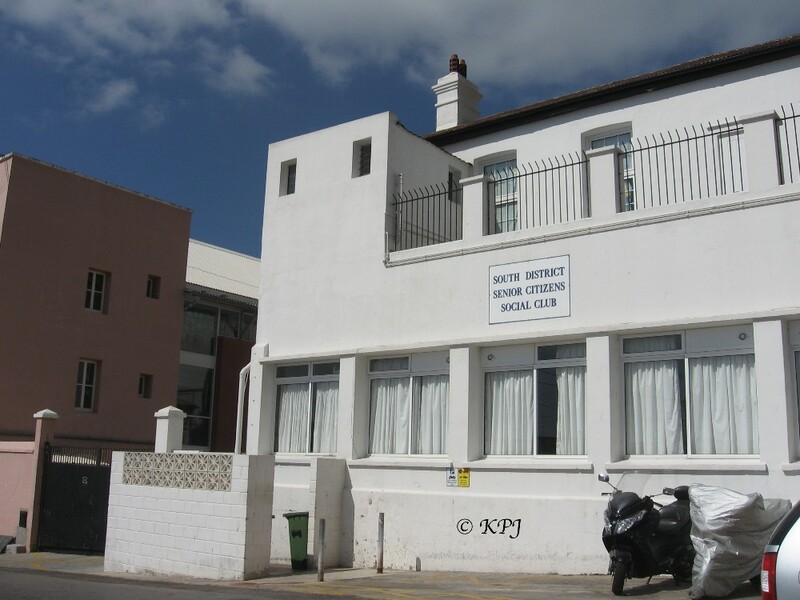 Staggering around the South Barracks area, we hit on South District Senior Citizens Club. I’m sure most of us look old enough to get in, so might as well stop here for one before our last port of call. Which is, The Edinburgh Arms. This bills itself as the most southerly pub in Europe. I thought that was a bit imaginative, but given that pubs are a British thing, possibly not. I’ve not been here either, def a locals pub I would have thought as it is way off the tourist track for anyone else, and as I walked past, I could hear lots of chat and laughter on a Friday afternoon. 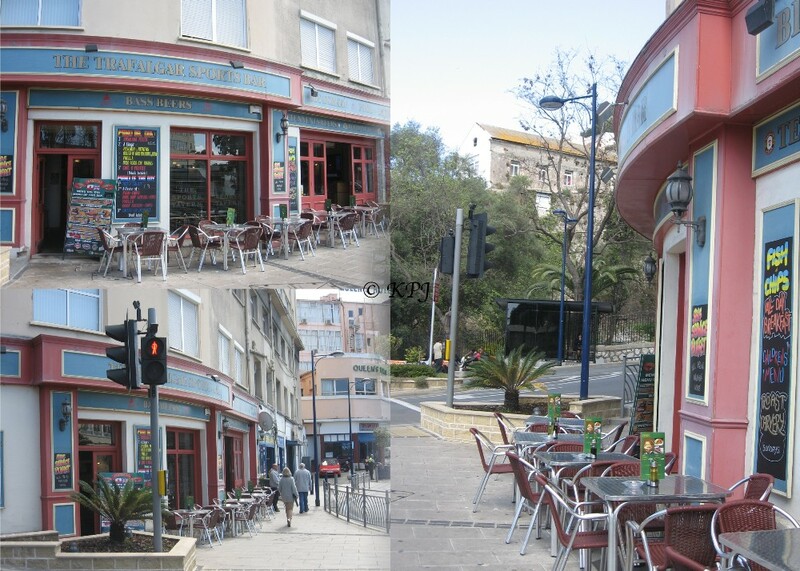 Almost forgot, we might as well call at New Harbours and have a quick drink at the bar next to Coviran supermarket (previously Peralta) – and some tapas. 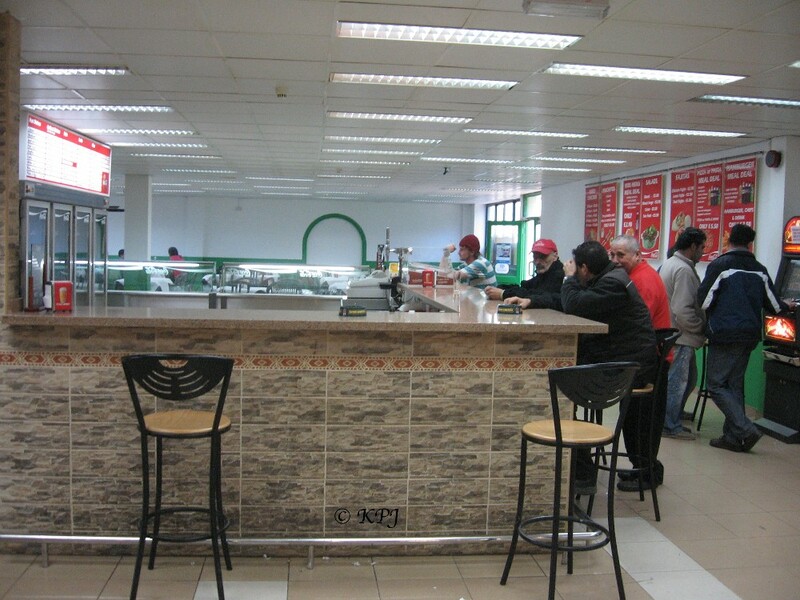 The food here always looks great, it’s cheap, totally Spanish, and is invariably full of workies. It opens strange hours, ie the same ones as the supermarket. Technically neither a pub nor a club, probably more a workers’ caff, but I’m including it anyway. Not that I have ever drunk or eaten there, I just look greedily every time I go shopping to the supermarket. How bizarre to pass through a bar to get to the supermarket!! No idea what this bar is called!! Pubs on the slideshow below, and some other shots of our pub-crawl route – in case anyone may have a slightly beer-blurred memory. Tony wants to know if they sell real ale. Ah, I did shoot a great crooked horizon of the Queen’s – I will add it. Great idea. I stumbled across your pub crawl when looking for something else. The Wembley is my local run by Nigel, The Matchbox has sadly been closed for some years and just re-opened as an Indian take away. 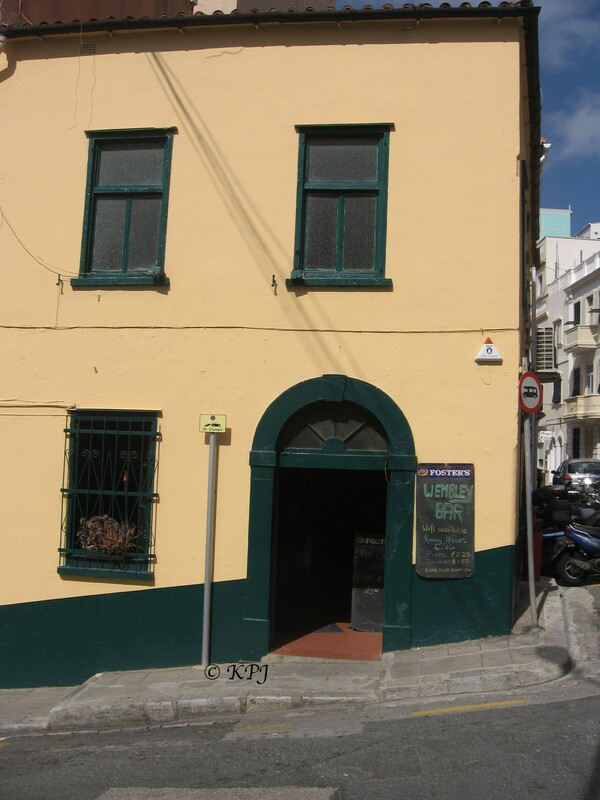 The Eddie Arms technically is not the most southern bar in Gib. There is The Dolphin Bar in Camp Bay which also sells food so might fall into your grey area of restaurant. Within the last month a new Bar/Cafeteria Europa Express has opened selling a range of food and drinks to cater for the newly modernised park facilities. I thought he owned another pub as well, but I may be getting confused. I’m sure whoever used to own the Newcastle owned somewhere else, but may not have been the Wembley. I’ve never been in there. It looks quite intimidating, a real locals pub. Last time I was up that way, the Indian hadn’t opened, so must have a sticky beak. I did say the Ed Arms ‘billed itself’ as the most southerly pub etc. Is the Dolphin Bar open all year? You get around all the newly opened places a lot! I didn’t know the new cafe whatever had opened at Europa. Must pay a visit. Last thing I saw all building work had stopped. The previous govt had grandiose plans for a flash eatery there, so it will be interesting to see what is actually on the ground. Ha! Yes I recognised the Wembly. We particularly liked that place as they sold pint bottles of ice cold Kronenbourg on which we would get heavily refreshed :-) The Matchbox was very close by midwayish up a narrow street. Yeah, I looked up the wrong road, not Rodgers (!) at all but South Barrack, which is the other side of that tall skinny corner building. Bit American looking that, but I digress. We did come down SBR the other day and everything was covered in scaffolding and we were driving. Poss not the best photo ops ever. I’ll have another wander up and see what I can find though as I am now intrigued. Det RoughSeas is on the trail. Hi, I used to work in the Queens many years ago in 1981-82. 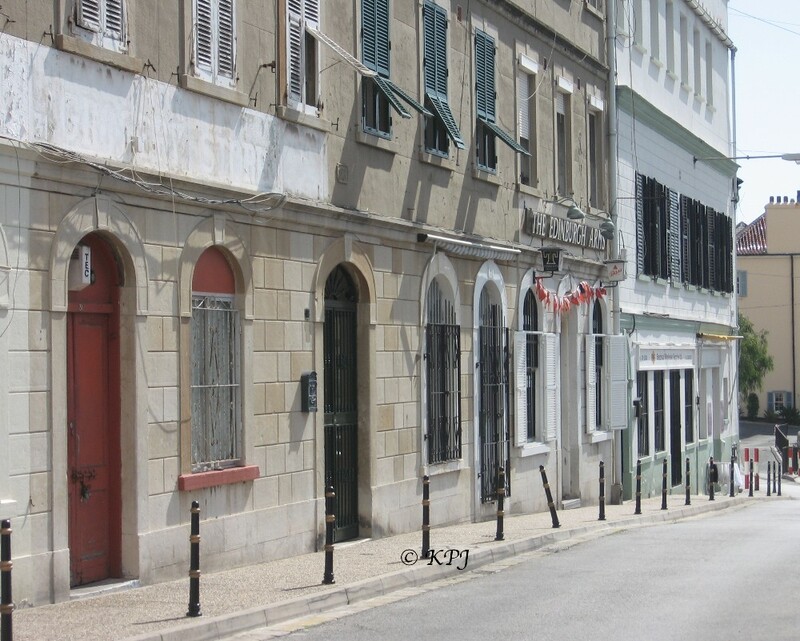 Many fond memories of living in Gib. Thanks for commenting. Read on your blog you were thinking about coming back but it didn’t work out. V different now though. 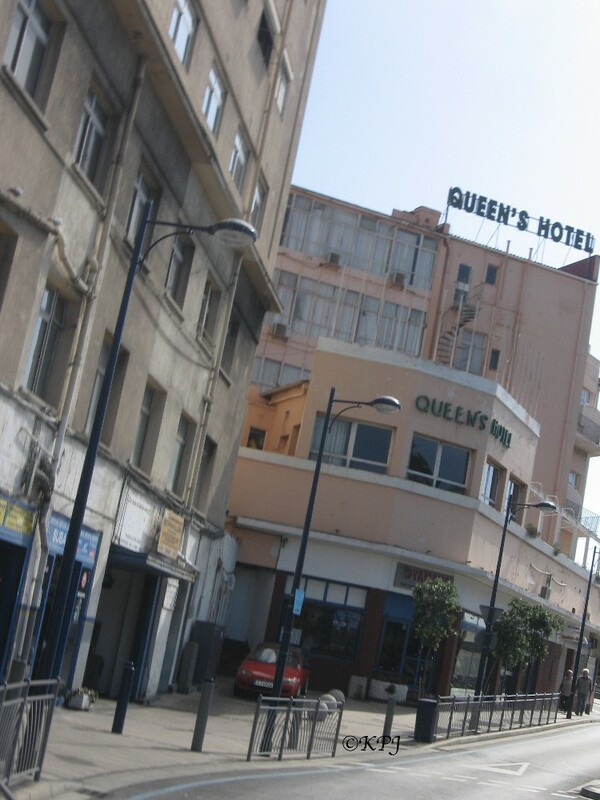 Queens is a hostal for the people who used to live in Toc H. Mostly/all Moroccans.